You may try and push against a wall, but it will never move, not even by a centimetre. This is the example of Fawad Alam, a relentless performer who just wants to play for his country, but can never seem to catch a break. Alam has all the necessary capabilities to perform well in international cricket, but unfortunately, fortune, or perhaps just the selectors are never on his side. Currently, Alam’s ordeal is all over social media, as he has once again been excluded from the Test squad for Pakistan’s tour of Ireland and England. There is no question at all regarding his performance; after all, his first-class average alone is 55.37, more than anyone in Pakistan’s cricketing history since 1952. Perhaps the most offensive part is that Chief Selector Inzamamul Haq has no solid reason for Alam’s non-inclusion. In fact, this is not the first time he has ignored Alam. When Misbahul Haq and Younis Khan announced their retirement in 2015, it was the perfect time to pick Alam, but Usman Salahuddin was selected instead. In 2016, the Pakistani team was seen struggling in New Zealand and Australia. Given that the last time Alam played in the land down under, in 2010, his performance was excellent, he deserved a chance to prove his mettle; nonetheless selectors remained oblivious to his talent. Just like the current scenario, when the Pakistani team was being selected for the Sri Lankan tour in 2015, Alam was a favourite, and yet Haris Sohail was the one provided the opportunity to play for his team. There are three criteria on which a player’s fate is decided – performance, fitness and recent form. Alam has checked all three boxes, with his fitness level being better than all the other 24 players called for training camp. His score in the Yo-Yo Endurance Test even put players significantly younger than him to shame. Given that all other factors are in Alam’s favour, what stands in his way? If age is the only restriction, then why did Misbah and Younis play for much longer, piling 16,000 runs in total for Pakistan? If Alam’s batting technique is a bone of contention, then how did Shivnarine Chanderpaul, Steve Smith, and even Younis score for their respective countries using the same method? 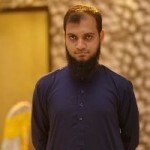 In fact, from the Quaid-e-Azam Trophy, the premier domestic tournament, to club cricket, Alam has taken every opportunity as a step to impress those in charge of his future. If we look at his patchy international career, we can easily identify three moments that really stamped his flair. The following are moments where he made his presence felt in the team and proved why he deserves a spot to play for Pakistan. The Kiwis were going steady after opting to bat, and were paving their way for a big total in the all-important semi-final of the World T20. However, Alam had other plans. As Shoaib Malik threw the ball, Alam straight away took the wicket of Lou Vincent with a brilliant caught and bowled. Later on, he took the prize wicket of Craig McMillan, and New Zealand’s total was subsequently squeezed to 147. With one game already lost in the series, Younis, the then captain, showed his trust in Alam and sent him to open the innings. All of Pakistani media, including cricket pundits, brutally criticised this decision. And after the first inning, where he got out on just 16 runs, every criticism against him was seemingly accurate. However, Alam then came in to score a magnificent 168 off 259 balls, defying all odds. That century remains a Pakistani record, for a century made on a debut in the second innings of a Test match outside the home country. Though Pakistan still ended up on the losing side, with this series Alam displayed he was fit and capable enough to bat at any position, and perform despite high pressure and mounting criticism. While a herculean target of 322 was set by Bangladesh, the heart throb, Shahid Afridi, played one of the blinders as he hit a remarkable 59 runs off 34 balls. Yes, this was a big effort from Afridi, but again it was Alam who kept one end intact and provided the breathing space for Afridi to play his natural game. Alam scored a crucial 74 before getting run out. Then, in the final, he scored the century due to which Pakistan reached the respectable total of 260. One would assume these moments would have garnered him a permanent spot on the team for sure, but this was not to be. His fans, on the other hand, along with most rational people, are rallying behind Alam, with #JusticeForFawadAlam trending on Twitter. This is probably the second time – the first being Imran Khan’s retirement back in 1987 – where fans have had such a vocal and visceral reaction to a player’s absence in the team. Despite all the support and the blatant injustice, Alam has yet again proven he just wants what is best for the Pakistani team by refusing to challenge the decision. Thus far, it looks impossible for Alam to invade the territory created by Inzamam and coach Micky Arthur. These two seem to be on the same page when it comes to inducting young blood, which is the reason why Saad Ali has been selected while Alam has not. However, England has always been a ground where experience matters, which is why Alam’s experience could have been a blessing for this tour. After all, he scored a century during his debut in conditions similar to England and Ireland, where the wicket has a tinge of grass and pace bowlers are able to swing the red cherry both ways. Pakistan has a multitude of social issues and problems. Cricket selectors not picking Fawad Alam is the biggest. Best FC ave in the country. Fittest guy at camp. Works hard. Great guy. Fills a middle order leadership void. What are you doing Inzi? Mickey Arthur? On the other hand, it is surprising to see the inclusion of both, Imamul Haq and Fakhar Zaman. Zaman clearly has to work much harder to adapt his technique for the longer format. Imam’s performance, on the contrary, has been fair enough in last two first-class seasons, but four openers for three Test matches? It makes absolutely no sense! Has being related to the selector somehow swayed the selection in his favour? It’s a big allegation, but given the circumstances, highly probable. Inzi's nephew Imam ul Haq is travelling to England in the squad. His FC average is more than 20 runs less than Fawad Alam's. Explain that one to me please? Overall, the squad has been selected and Alam will not be there. The men in green look power packed in batting, but quite obviously lack the necessary experience. Babar Azam’s record in red ball cricket is terrible, averaging just above 23 with highest being 90, while Asad Shafiq has been highly inconsistent in the past three years. Currently, Pakistan is heavily depending on Azhar Ali’s experience and Sohail’s recent form in red ball cricket. All in all, the upcoming tour seems tough for the green shirts, and we may once again have to seek the blessings of Ramadan, just like in the Champions Trophy Final of 2017. With FC average of 55.37, Fawad Alam fail to make it because he is son of Tariq Alam. With FC average of 55.37 Imam ul Haq makes it because he is son of Inzi’s brother. 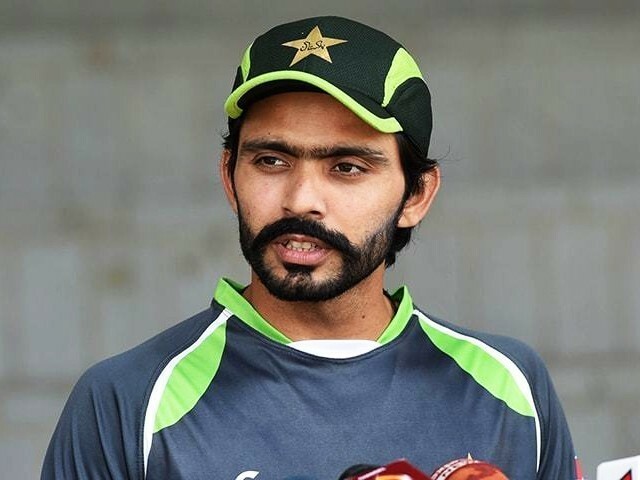 Inzamam has no any solid ground for non selection of better player than Fawad Alam. We highly condemn non selection of Fawad Alam without any creed, caste, race, religion, regionalism, colors etc. It is extremely silly to compare Imam ul Haq to Fawad Alam. Imam is an opening batsman and Fawad bats in the lower middle order. So your argument of nepotism is flawed.